He Who Sleeps Beneath The Earth; the Great Hungerer; the Tarrasque. He lies dormant, but one day will wake. We await his return, when he will sow such perfect desolation that the worlds will be wiped clean and the land formed anew. We watch for His coming, as we lower our eyes towards his sleeping-place in the heart of the earth. Be vigilant, brothers and sisters; he comes. I remember when I first picked up a Monster Manual my immediate urge was to scour the thing for the most powerful creature therein. I asked my (more knowledgeable) friend (who had lent me the book) who swiftly pointed me in the direction of the Tarrasque. I was suitably impressed - a legendary, 50-foot bipedal godzilla-esque creature which can't actually die and whose shell rendered it almost invulnerable to both weapons and magic. In fact, it can be said that the Tarrasque has only two good points - it sleeps underground for a very long time in between feeding sessions (or "natural disasters" depending on where you live) and there is mercifully only one of them. Needless to say, neither of these are much comfort if you are unlucky enough to experience it first-hand. I think my interpretation here might seem a little extreme to some people, as the Tarrasque's appearance is very iconic. I just didn't want to draw the same godzilla/king bowser hybrid that most other artists use. Three principal things strike me about the Tarrasque's described appearance - it is bipedal, it has a shell that can bounce spells back at their users, and it has horns. It is also, curiously, described as "bird-like" in gait. 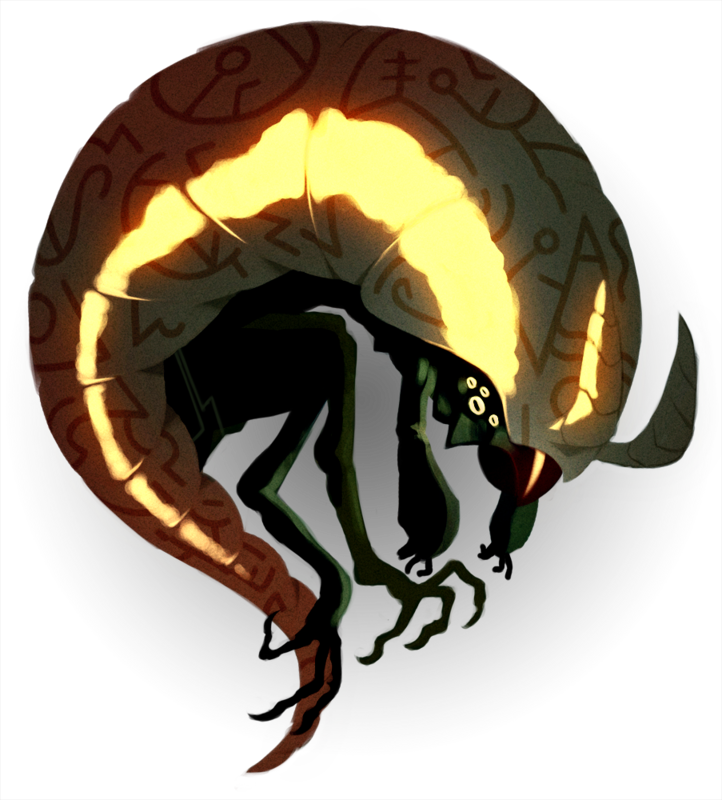 The shell here is based off various pillbugs as well as the amazing Pangolin - this seems to be an element that some artists neglect in the Tarrasque's appearance, and since being practically unkillable is one of the creature's main traits I made a bigger deal out of it. The beak, eyes and the curled-up pose are sort of a nod towards the Cthulhu mythos, which matches the creature's MO of sleeping for long periods of time. I also like the idea that some misguided apocalyptic cult is aware of the Tarrasque and worships it (despite the creature having only animalian intelligence). I'm actually genuinely interested in what people think of the redesign here so feel free to let me know what you guys think in the comments. It does not really have a sense of size or age to it though. Like with the smooth textures and thin legs it looks to be more the size of a house cat maybe? I think it's amazing and I made it my wallpaper on my computer named Terrasque. (I don't think my computer's quite that indestructible though...) It truly looks like something that could be sleeping in the earth! 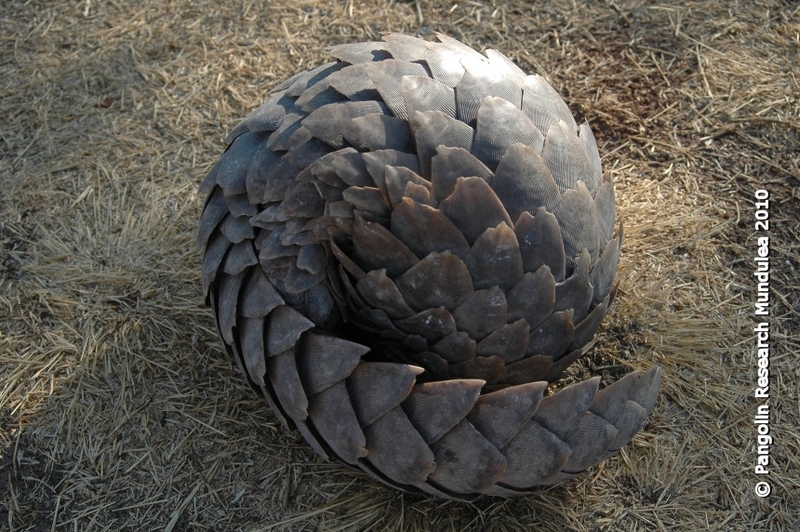 A pillbug/pangolin's curl as it sleeps really works for it. Unlike the original, this guy already describes his own animation and movement through its design. Awesome, but as Scrap Princess pointed out, it appears to be quite small. Bulkier legs would be step one, but also smaller eyes really add to the illusion of size. I pray no one loathe me for it, as I do in fact, readily love ol' Godzilla more than I prolly should, that said it is also the reason the Tarrasque was completely left out. I didn't want Goji mucking up the fair lands, nor would my players be amused. This rendition? Honestly, if they'd just made it something akin to the beautiful creature you've presented us, I would have used it. And actually, I will. The designs along its shell leave something to thought; what do they mean; who put them there? Cool silhouette on the picture too. Thanks guys! I agree with scrap princess & co on the size issue, it's a little ambiguous. With giant creatures I always consider working a tree or a house or a human into the composition to give a sense of scale but sometimes it feels like a bit of a cop-out, and I should be able to make the creature by itself "feel" big. My thinking behind the symbols is to corroborate my personal preferred origin story for the tarrasque - that it was created by ancient gods as some kind of punishment. Kinda shows that in some way it was made, not born. Or maybe somebody once just managed to catch it and write on it! Maybe the markings just say "RUN AWAY" in some ancient script. Also, I love the original Godzilla series! I love the inventiveness in the production of kaiju films, I grew up watching lots of power rangers. I love how different this version looks vs the regular renditions of the tarrasque. The shine on the carapace works for me. You might like to check out the original, real-world legend of the Tarrasque. That was a weird sort of dragon, that came up out of a river spewing water. It was described as having a lion-like head, a great tail that stirred up the waters, and a huge carapace that was invulnerable to any attack. It was eventually tamed by a saint, iirc (St Martha, maybe?). As I like the originals to get more attention, this one isn't really to my taste as a Tarrasque, but it's still a very cool piece of art. The French legend of the Tarasque (http://i.imgur.com/u09EE.jpg personal favorite image) is suitable for threatening a town, once spiffed up a bit (Tony DiTerlizzi's 2e MM Tarrasque is my personal favorite, inspiration for Fallout's deathclaws and all), but THIS tarrasque looks a lot more like something that threatens the world. Some monsters are for saints, and some monsters are for HEROES. Personally, as the Terrasque has always been a favourite creature for me (and there is NOTHING in an adventure that can get the PCs utterly in a tizzy as well as subtle references to a Terrasque - trust me, the PCs think it could be about to awake, they do EVERYTHING in their power to stop it or gtfo). I really like the design of the creature, though there's little in this image to suggest scale. I prefer the more insectoid look to it than reptilian classic - very cool.